Display those favorite sentiments which everyone enjoys and treasures the most. 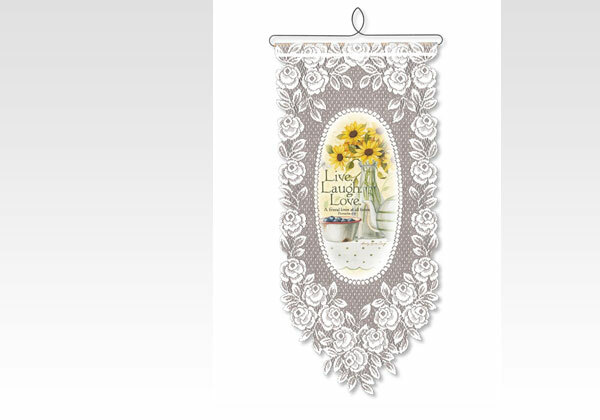 Wall hangings add a tasteful, happy feeling to your home. And as holders for your cards, recipes and favorite photos, it's useful as well as decorative. Made in U.S.A.
Wall hanging measures 12" x 27"